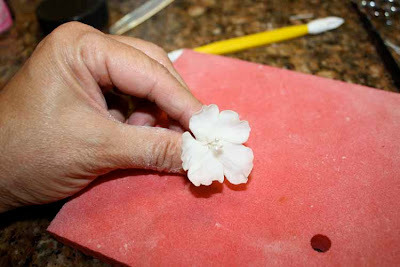 Cherry Blossoms are easy to make and so beautiful in arrangements and as center stage on a cake. 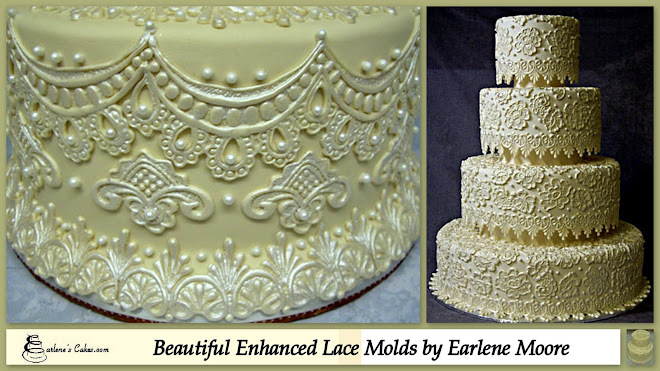 I have made them with cutters (JenniferDontz.com has some darling cutters that I have used) and by hand. 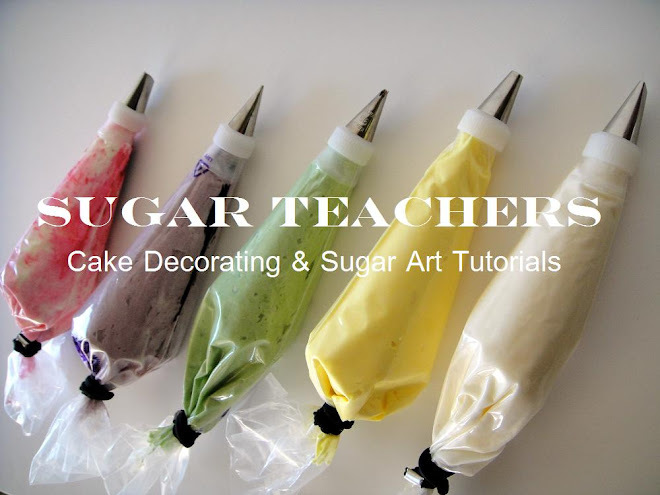 This demo will show you how to make them by hand. 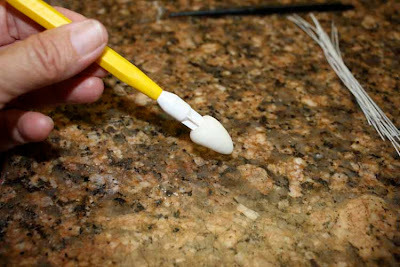 I use a JEM Silk Veining tool (my favorite tool! 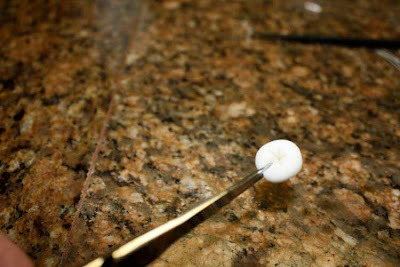 ), PME star, ball tool, 26g wire, Cel pad, small sharp scissors, piping gel and a corn starch puff. 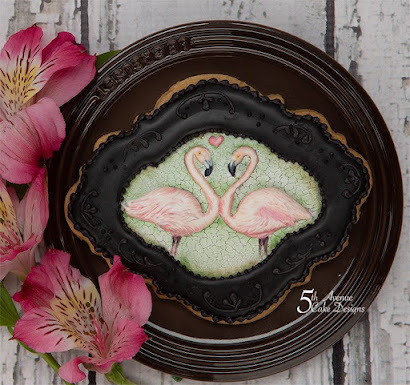 I use straight Wilton Fondant for these. I have found that it works better than gumpaste. Start with a small cone and flatten the top slightly. Use the PME star tool has a side with a 6 point and 5 point star. 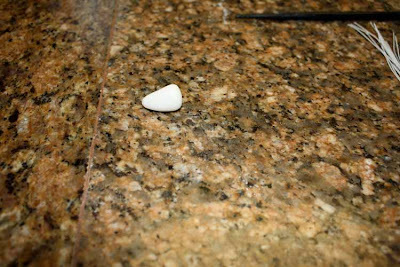 Use the 5 point side to impress into the top of the flattened side. Cut the points of the star with the sharp scissors, taking care not to cut all the way through. Separate and flatten the petals with your fingers. Dust your thumb and fingers with corn starch. 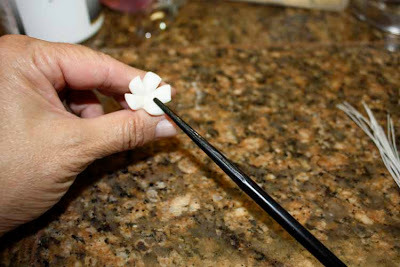 Use the Silk Veining tool to vein and thin the petals. 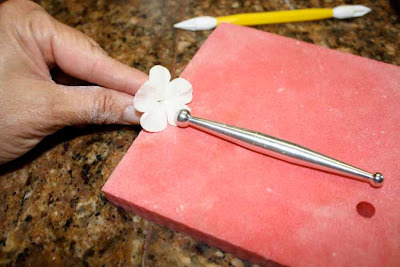 Use a crescent shape movement to go around each petal. I press hard into the sides of my thumb. Take the Star tool to impress a 5 point star into the center again. 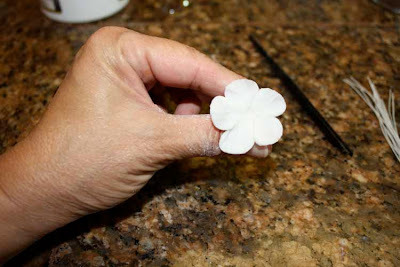 Use a ball tool to gently to ruffle the edges of each petal taking care not to tear them. 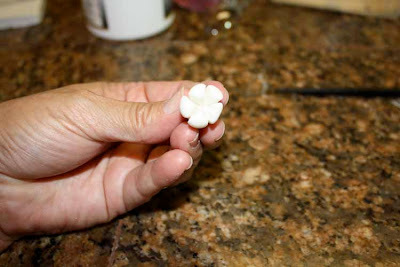 Use a ball tool to gently to ruffle the edges of each petal taking care not to tear them. Dip three stamins in piping gel and gently insert into the center. I always make a bud shape and wire "twig". 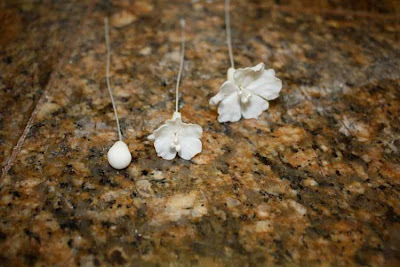 Wrap with floral tape and tape the blossoms together in a delicate branch. 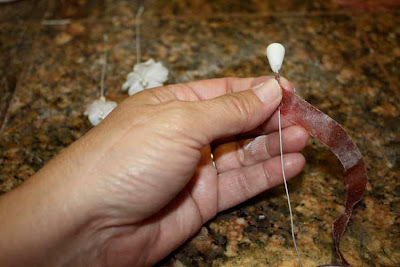 Make branches with 3, 5 or 7 blossoms for good balance. You can also add in leaves. This tutorial cannot be reproduced for commercial or teaching purposes without permission from the author. I love, love , love your cherry blossoms Denise!! Thanks so much for the tutorial!! You're awesome!! Beautiful! Got these on my to-do list! Great tutorial! Thanks! Denise, YOu are the QUEEN of Cherry Blossoms!! Thank you for sharing your technique for making them!! Thank you all for your sweet compliments. I hope that everyone enjoyed the tutorial and I hope to see some of your creations. God Bless! Wonderful tutorial. Thanks so much! Beautiful. Cant wait to have a try at some of your tutorials, its so generous of you to share. At what point do you add the wire? 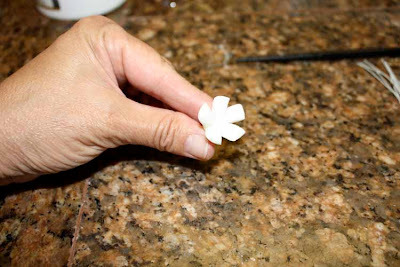 After making the teardrop shape, before cutting the petals? Thanks! Thank you so much for this wonderful tutorial and all of the others as well. I can't wait to try them all! Thanks again for your generosity. Your cakes are amazing! 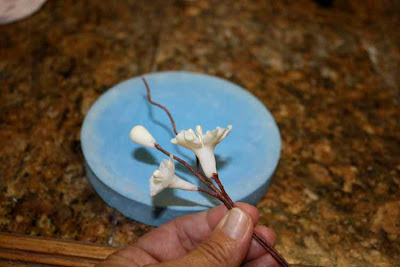 I've been trying to make wild roses to use for a cherry blossom cake.With your sight I can break out my tool set and make much nicer blooms. I won't have the trouble of the drying time,counter space and kids wanting to finger all of my work. Thanks so much ! This will be so much help ! thanks so much! I have two cherry blossom cakes coming up...one at the end of March and one in May. I am looking forward to making them as they will be different than the others. Watch out for them here! 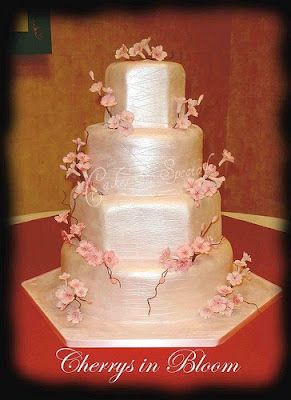 I have a cherry blossom wedding cake due in Oct. of this year. I found this tut and now I have a question. 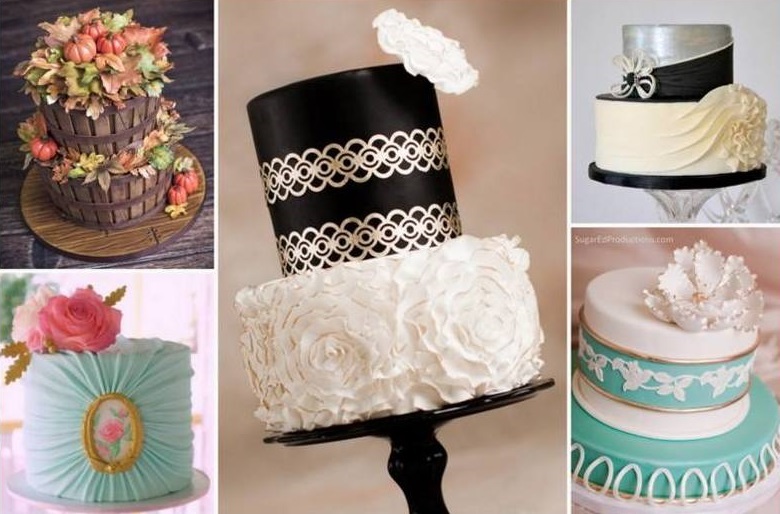 After these are assembled, are they simply stuck into the cake? 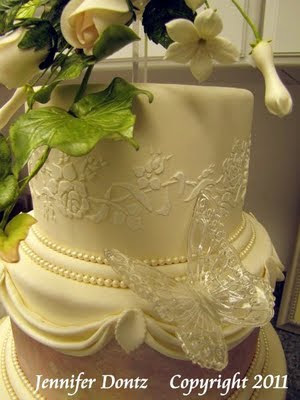 The floral tape is quite tacky, so is there anything that they are dipped into before inserting them into the cake? 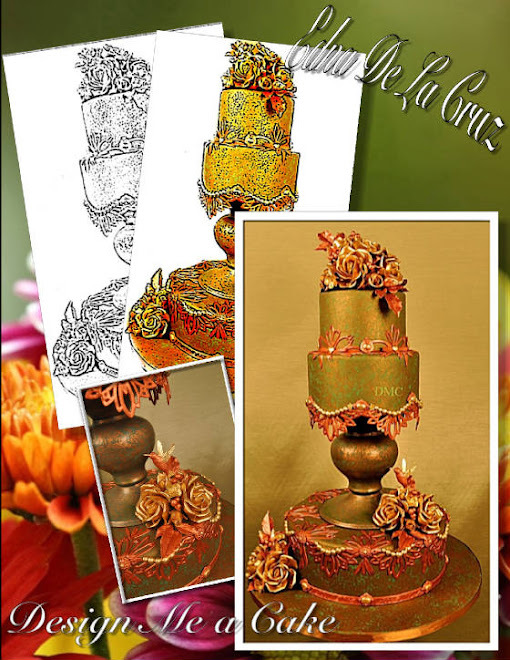 My daughter wants a Cherry Blossom cake for her 16th birthday, your tutorial is wonderful! I am going to attempt your method, I was just wondering what size ball tool I would need? Hi thnks..nice tut. Diff den regular method. 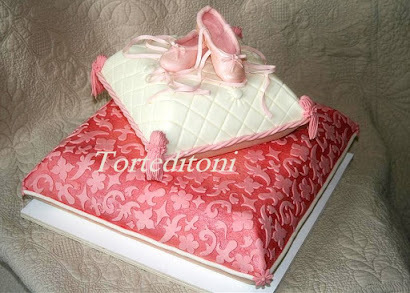 U said u hv used fondant.but how did it dry?! Did you use tylose Wid dat?